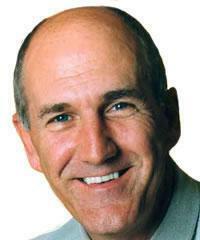 We are delighted to have Russ Abbot as a patron of our Foundation. Russ is well known as one of the most popular entertainers in Britain today. As well as his memorable television comedy work his West End stage appearances are numerous, and he received the Advertising Industry's Golden Break Award for 'Best Actor In A TV Commercial', 'Top Variety Act' in the 1990 British Comedy Awards, and his British Top 10 chart single 'Atmosphere' remained in the charts for several weeks. He has continued working in the West End and on Television with major appearences in 'Last of the Summer Wine', 'Oliver', and 'Chitty Chitty Bang Bang'. This multi-talented and immensely likeable personality is a key figure in the charity and we are thrilled at his enthusiasm and involvement.